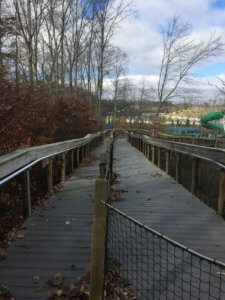 When the Dollywood theme park in Tennessee decided to renovate one of their boardwalk queue lines to be more “summertime friendly” they contacted Koolfog to assist with the challenge. 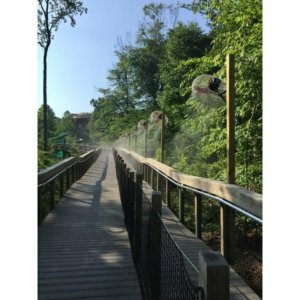 Faced with a long, open boardwalk with no structure or shade, Koolfog suggested a line up of misting fans installed on poles to deliver a cooling mist to the area. Adding in misting to theme parks is a great way to make sure guests are comfortable, especially in the hot summer months. Misting systems are used to keep guests cool in queue lines and common areas. Outdoor cooling technologies add a unique and appealing experience that keep them coming back. Take a trip down to Dollywood and see the effects for yourself!